In the Middle East, few men are pilloried these days as much as Sir Mark Sykes and François Georges-Picot. Sykes, a British diplomat, travelled the same turf as T. E. Lawrence (of Arabia), served in the Boer War, inherited a baronetcy, and won a Conservative seat in Parliament. He died young, at thirty-nine, during the 1919 flu epidemic. Picot was a French lawyer and diplomat who led a long but obscure life, mainly in backwater posts, until his death, in 1950. But the two men live on in the secret agreement they were assigned to draft, during the First World War, to divide the Ottoman Empire’s vast land mass into British and French spheres of influence. The Sykes-Picot Agreement launched a nine-year process—and other deals, declarations, and treaties—that created the modern Middle East states out of the Ottoman carcass. The new borders ultimately bore little resemblance to the original Sykes-Picot map, but their map is still viewed as the root cause of much that has happened ever since. The colonial carve-up was always vulnerable. Its map ignored local identities and political preferences. Borders were determined with a ruler—arbitrarily. At a briefing for Britain’s Prime Minister H. H. Asquith, in 1915, Sykes famously explained, “I should like to draw a line from the ‘E’ in Acre to the last ‘K’ in Kirkuk.” He slid his finger across a map, spread out on a table at No. 10 Downing Street, from what is today a city on Israel’s Mediterranean coast to the northern mountains of Iraq. For a century, the bitter reaction to the Sykes-Picot process has been reflected in the most politically powerful ideologies to emerge—Nasserism, in Egypt, and Baathism, in Iraq and Syria—based on a single nationalism covering the entire Arab world. For three years, Egypt and Syria, despite being on different continents, actually tried it, by merging into the United Arab Republic; the experiment disintegrated after a 1961 coup in Damascus. Yet the premise of American policy (and of every other outside power) today—in stabilizing fractious Iraq, ending Syria’s gruesome civil war, and confronting the Islamic State—is to preserve the borders associated with Sykes-Picot. Since August, 2014, the United States has invested more than eleven million dollars a day in military operations, including almost nine thousand airstrikes on Iraq and more than five thousand on Syria. For the world’s worst humanitarian refugee crisis, which is now spilling out of Syria across countries and continents, Washington has pledged seven hundred million dollars in 2016, with more promised. The rest of the world—from Europe to the Gulf sheikhdoms, Russia to Iran—has poured billions into perpetuating the borders, even as they vie for different political outcomes. In its final months in office, the Obama Administration is intensifying that strategy. Since April 8th, senior officials—Vice-President Joe Biden, Secretary of State John Kerry, and Defense Secretary Ash Carter—have made surprise visits to Baghdad to prop up Iraq’s increasingly fragile government. Baghdad’s political crisis predates its war with ISIS. Recent debates in parliament have disintegrated into brawls and water-bottle fights; dozens of lawmakers held a sit-in this month to demand the resignation of their Speaker. 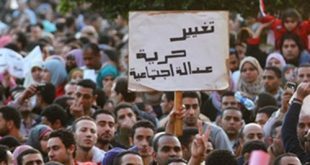 Tens of thousands have demonstrated in several provinces for months to demand political and economic reforms, as well as an end to rampant corruption. On Saturday, protesters breached fortified blast walls around the Green Zone—bringing down a section as if it were the Berlin Wall—and stormed Parliament. Reuters reported that the demonstrators waved flags, danced in the aisles, and chanted, “The cowards ran away!” of fleeing lawmakers, who had once again failed to reach a quorum for a vote on a new Cabinet of technocrats to replace the current top officials, who were chosen according to quotas based on sect and ethnicity. Iraq declared a state of emergency and closed all roads into the capital. The U.S. Embassy, the U.N. mission, and other embassies inside the Green Zone were on lockdown. “Now is not the time for government gridlock or bickering,” President Obama said earlier this month. Biden’s visit “focussed on encouraging Iraqi national unity,” the White House said. But Prime Minister Haider al-Abadi increasingly risks becoming Iraq’s Humpty Dumpty. The United States is upping its military footprint, too. On April 18th, President Obama announced the deployment of Apache helicopters, sophisticated mobile rockets, and another two hundred troops to Iraq. The total is now around five thousand American forces. Airstrikes are up sixty per cent this year over the same period last year. The situation is even worse in Syria, as the United States ratchets up its role there, too. The peace talks launched in January are precarious, at best, after three unsuccessful rounds. The ceasefire collapsed in an explosion of fighting this week, especially around Aleppo, Syria’s largest city and its former commercial capital. On Monday, Obama called for another two hundred and fifty U.S. Special Forces to be sent to Syria to boost the fifty already there and “keep up the momentum.” It’s the largest expansion in the U.S. role since the civil war erupted, in 2011. The United States claims progress in the military campaign against the Islamic State. Since November, ISIS’s pseudo-caliphate has lost forty per cent of its territory in Iraq and ten per cent in Syria, as well as tens of thousands of fighters, tons of arms, and hundreds of millions of dollars stored in warehouses that have been bombed by the U.S.-led coalition. Pentagon officials said last week that the number of new ISIS recruits in Iraq and Syria has plunged—from fifteen hundred a month last year to two hundred a month now. ISIS fighters are dying faster than they can be replaced. For the first time, ISIS no longer seems invincible. The region is now beginning to peer nervously beyond both the political chaos and the challenge from ISIS. There’s a well-rooted fear that both Iraq and Syria—an area stretching from the Mediterranean to the Gulf—have become so frail that they may not be sustainable, regardless of whether ISIS is defeated. It’s the subject of political debate, media commentary, teahouse chatter, and academic conferences. The debate about Iraq’s future has shifted since Senator Joe Biden wrote a controversial Times Op-Ed, in 2006, proposing three autonomous regions, for Shiites, Sunnis, and Kurds to have their own political space. After thirteen years of war, the fabric of the young nation is threadbare. Iraq, in in current form, is less than a century old; Saddam Hussein ruled it for a quarter of its existence. 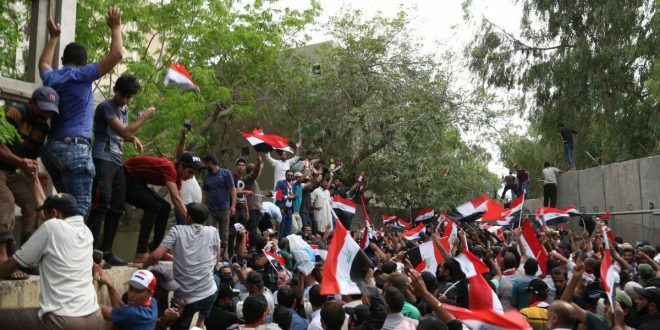 Since his ouster, Baghdad has not devised a political formula to insure that its disparate constituencies feel invested in saving the country as is. The economy—of a major oil producer—has also been hit by a crippling mix: grossly wasteful mismanagement, a bureaucracy bloated by unqualified personnel, escalating greed, a five-hundred-per-cent budget increase since 2004, and plummeting oil prices. Nationalism has unravelled. Iraqis take great pride in their land’s ancient civilization; it’s the connection with their present state that is the existential challenge. In Syria, the sheer physical and human devastation undermines the prospects of a viable state for years to come. The stats are almost incomprehensible: more than half the population depends on humanitarian aid to make it through the day. Some three million kids are not attending school—in a population of twenty-two million. Besides a staggering death toll, one and a half million people have been injured or permanently disabled. Life expectancy is down fifteen years from when the civil war started, in 2011. Almost one out of five citizens has fled the country altogether. They may have little incentive to return. Physical destruction totals at least two hundred and fifty billion dollars, in a state the size of Washington. And it increases every day. A century after Sykes-Picot, the dual crises have stripped away the veneer of statehood imposed by the Europeans and have exposed the emptiness underneath. Iraq was managed by Britain and Syria by France, with limited nation-nurturing, before both were granted independence. They flew new flags, built opulent palaces for their leaders, encouraged commercial élites, and trained plenty of men in uniform. But both had weak public institutions, teeny civil societies, shady and iniquitous economies, and meaningless laws. Both countries were wracked by coups and instability. Syria went through twenty coups, some failed but many successful, between 1949 and 1970, an average of one a year, until the Assad dynasty assumed power—in another coup. Increasingly, the glue that held both countries together was repressive rule and fear. In Syria, the death toll is many times higher, the sectarian and ethnic divide at least as deep as in Iraq. 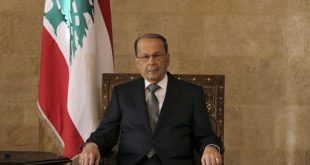 The test in both countries is not just finding a way to re-create states more viable than the various formulations attempted since the Sykes-Picot process was launched. It’s also rallying public will in the current environment. Some of the political alternatives may be just as problematic. The reconfiguration of either Iraq or Syria into new entities could be as complicated, and potentially as bloody, as the current wars. The breakups of India, Yugoslavia, and Sudan spawned huge migrations, cycles of ethnic cleansing, and rival claims to resources and territory, which in turn sparked whole new conflicts, some still unresolved years later. “Civilization started here in the sixth century B.C.,” Iraqi Foreign Minister Ibrahim Jafari said at the Forum. “We don’t want Iraq without sects or nationalities. But we want Iraq without radicalism. We would like Iraq to be like a bouquet of flowers.” As the chaos mounts by the day in Baghdad, that is surely an illusion. “We don’t know the fate of the people in this region,” Salih, the former Iraqi deputy prime minister, told me this week. “But, for sure, this time—unlike a hundred years ago, when Mr. Sykes and M. Picot drew the lines in the sand—the people of the region will have much to do with shaping the new order.” The problem, for them and the outside world, is that they only know what they don’t want. They have yet to figure out which political systems—and which borders—will work.